As the era of precision medicine is here and more patients are having genetic sequencing performed, we need to be able to utilise the data to improve health. How can we effectively incorporate this new type of information into a healthcare system to support patient care? The talk will aim to address the challenges and benefits, at NYUAD Campus, Conference Centre, 6.30pm. Free, register to attend. nyuad.nyu.edu. The Abu Dhabi Music & Arts Foundation (ADMAF) invites Emirati artists and visual arts practitioners to submit their entries for The Gulf Capital – Abu Dhabi Festival Visual Arts Award and The Gulf Capital – ADMAF Creativity Award as part of Abu Dhabi Festival 2019. The awards aim to shine a light on the country’s creative young talent by awarding the winners with Dh10,000 and exhibiting their work at this and next year’s Abu Dhabi Festival. Open to Emirati nationals aged 18 to 35 years old, with the deadline ending on January 31. abudhabifestival.ae. 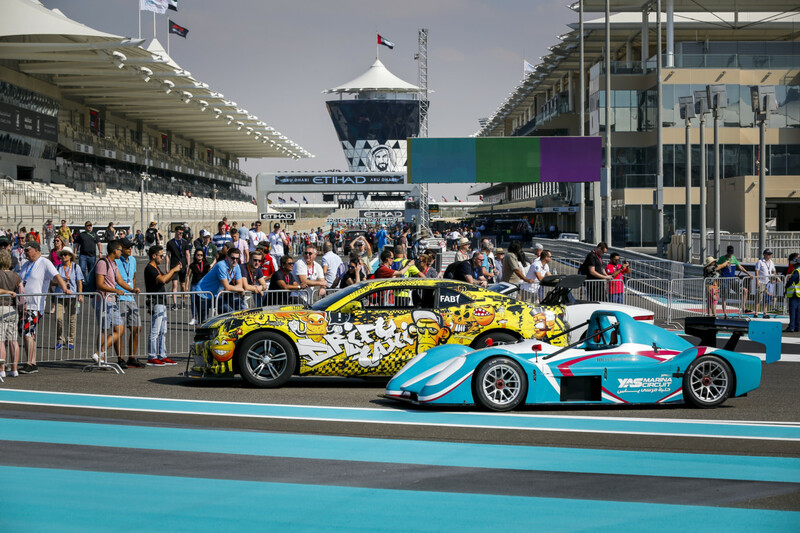 Yas Marina Circuit will welcome the world’s best and fastest, rally drivers for the inaugural FIA World Rallycross Championship, held at Yas Island, Abu Dhabi over the weekend of April 5 and 6. Tickets have gone on sale for the 11-round series and will feature the first-ever night race, with cars tackling the circuit’s custom built track under floodlights. Weekend tickets are priced from Dh395. yasmarinacircuit.com. The final two ‘shop the night away’ nights take place tonight and next Wednesday. A team of professional stylists and food gurus will be visiting fashion, beauty and dining outlets throughout The Dubai Mall to give participants the chance to get the latest looks and take advantage of exclusive offers, from 6pm to midnight. Also, take advantage of the community open-air cinema, at Downtown Eats (just outside of The Dubai Mall). Viewing times are 6pm, 8pm and 10pm, until March 15. Challenge yourself and bring out the best in you as you take part in the run, apart from the 42k marathon, atheletes can also take part in the 10km run or the 4km fun run thats open to all. Entry starts from Dh185, registrations available online only with race packs to be collected by Thursday before 5pm. For the first time in the event’s history, the race will be available worldwide as a live stream on social media platforms as well as on the official site. dubaimarathon.org. A theatre show from inside the legendary record label – Sun Records Studio, featuring the music of Elvis Presley, Jerry Lee Lewis, Johnny Cash, Carl Perkins, Roy Orbison and more, taking you back to the birthplace of rock’n’roll. At Theatre by QE2, today and tomorrow at 8pm. Dh180 per person. theatrebyqe2.com. Memories above the Dubai skies at the 32nd floor of V Hotel Dubai, Al Habtoor City. Ladies get free beverages every Wednesday from 8pm until 2am.Call 056-5012039. Interested in exploring a career in the UAE arts sector, volunteer with Tashkeel and be a part of the Tashkeel team during Art Dubai 2019. They are having an informative briefing session, at Youth x Hub, Emirates Towers on January 29 from 5-8pm. Workshop is free of cost. tashkeel.org. Join a zumba party with classes by instructor Lora Carinosa, plus 30 per cent off on house beverages, at Biggles, Millennium Airport Hotel, 7-11pm. Call 04-7028888. The Tap House is challenging guests to join them for their quiz night with radio personality Tom Urquhart. The quiz runs every other Wednesday from 8pm, with prizes up for grabs. At Club Vista Mare, The Palm Jumerah, 8-10pm. Free entry. Call 04-5143778. Trader Vic’s JBR is hosting its first Caribbean week, the three-day event will feature colourful celebrations coming alive with the sounds of the islands channelled through drums and set around the theme. Coconut and pineapple beverages start from Dh50 and bites starting from Dh25, 6pm onwards, until Friday. Call 04-3865646. Ever fantasised about being the heroic cowboy from your favourite Western films? Here’s your chance to role-play and go on an adventure of the untamed era, tall boots, wide-brimmed hat, leather belt and all, at City Centre Deira. Visitors who shop for Dh300 at any store can enter ‘The Gold Valley’, along with an opportunity to dress-up and have a rodeo experience or challenge friends to a game of shooting cans. Until February 2. A first-of-its-kind community art gallery that is devoted to experimenting with recycled materials and spreading the message of sustainability. It’s a space for everyone – of all ages and skill levels – and will nurture and showcase a community of creatives and artists. 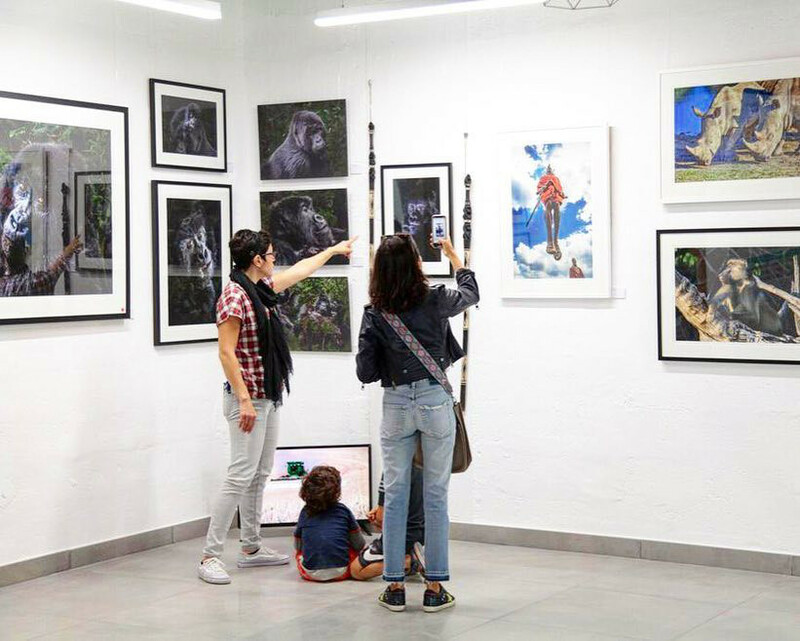 It’s first exhibition features wildlife photographs that will inspire every visitor with its message of animal conservation, running until February 16. Located in The Sustainable City, Dubailand on Al Qudra Road. facebook.com/Beitfann.